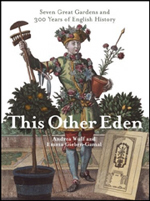 Andrea Wulf is the author of five acclaimed books, including “The Brother Gardeners”, "Chasing Venus" and "Founding Gardeners". and the co-author of “This Other Eden”. Her latest book 'The Invention of Nature" has received rave reviews and awards - and is a New York Times bestseller. She has written for New York Times, the Atlantic, the LA Times, Wall Street Journal, the Sunday Times and the Guardian and many others. She has lectured across the world – from the Royal Geographical Society and Royal Society in London to Monticello and the New York Public Library in the US. She’s spoken to audiences from Colombia to Europe, as well as to 15,000 people at the Esri User Conference in San Diego and literary festivals across the world. She is a three-time fellow of the International Center for Jefferson Studies at Monticello and the Eccles British Library Writer in Residence 2013. She's a member of PEN American Center, an International Fellow of the Explorer's Club, a member of The Society of Woman Geographers, a Fellow of the Linnean Society, a Fellow of the Royal Geographical Society and a Fellow of the Royal Society of Literature. In 2019, she was part of the delegation that accompanied Germany's President Steinmeier on his trip to Ecuador and Colombian ... following Humboldt's footsteps. 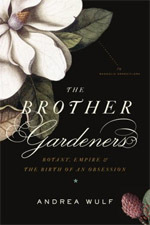 The “Brother Gardeners” was long-listed for the Samuel Johnson Prize 2008, the most prestigious non-fiction award in the UK and won the American Horticultural Society 2010 Book Award. “Founding Gardeners” and 'The Invention of Nature" were both on the New York Times Best Seller List. 'The Invention of Nature" has won more than 10 awards, including the Royal Society Science Book Award 2016, Costa Biography Award 2015, the Inaugural James Wright Award for Nature Writing 2016 (Kenyon Review in association with the Nature Conservancy) and the LA Times Book Prize 2016, as well as awards in Germany, China, France and Italy. It was selected by New York Times "10 Best Books of 2015". 'The Invention of Nature" will be published in 27 countries. Her next book The Adventures of Alexander von Humboldt is a graphic novel about Humboldt's daring 5-year expedition through South America, illustrated by Lillian Melcher. It will be published in spring 2019 in the US, UK, Germany, the Netherlands, Spain and South America. I've just finished The Brother Gardeners, and plan to share it with several gardening friends. I was sorry to see the book come to an end -- but am really glad to see a new one about similar people and activities is on the horizon! Although I have an M.A. in history and live in one of the oldest U.S. cities (Savannah, Georgia), I learned a lot about people and plants of the century before the American Revolution. I'll never think of Linnaeus as just a scientific name again! Could you please contact me about a speaking engagement in Virginia in April, 2011? Thank you. Send me a street address and I'll send you a copy. I very much enjoyed Founding Gardeners which was given to me during the visit with my cousins in the US. Much interest at my part is a person known little in the US - Filippo Mazzei. You wrote about Jefferson debt and it is known that he failed to repay the family of Mazzei the money he borrowed from the Mazzei property. I hope you come to Italy to present your book. I share the sentiments of readers that felt captivated by the story of "The Brother Gardeners." My only regret is not seeing John Clayton included in this group. He exchanged letters with Bartram and provided samples of the plants of Virginia and corresponded with Gronovius. His specimens are contained in the John Clayton Herbarium at the Natural History Museum in England. Why the omission? I'd like to invite you to speak at the John Jay Homestead, in Katonah NY. (johnjayhomestead.org) Where's the best place to send an invitation? As an organic farmer here on the Big island(Hawaii) I enjoyed your article in Smithsonian. I feel very close to our founding fathers regarding local plants and gardening. I'm sure most are rolling over in their graves if they are privvy to what is happening to the rain forests, GMO's, and global temperatures. Also after googling you and seeing early photos i find your current countenance much more attractive. I was so taken with _Founding Gardeners_ that I want to say thank you. Your style of writing is very engaging. The book was both highly entertaining and educational which is a wonderful combination. As I struggle with native, xeric, organic, sun/shade, and an assortment of creatures who think they have dibs on sharing in my garden, I was glad of your reminder that every age has its trials. I have told friends and family that I will spread composted manure and lime on the vegetables beds before the long Midwest Winter here in the US because I now know that Thomas Jefferson recommended it. I look forward to your next book. You have a fan. Thanks for still using e-mail. I hope to be able to learn Facebook in the future. I'm definitely NOT computer savy. I saw you on BookTV talking about your book on founding gardeners. I'm going to buy your book. I enjoyed all of your talk and especially about James Madison being an early ecologist. This earth is so fragile in a vast universe. When will more citizens of our tiny planet learn to care for and protect it. Looking forward to your "Venus" book. I'm an American who leans towards British authors. I generally read historical biography and mostly of women. (American, British, French) I'll be 71 this December and pray to keep my eyesight so I can continue to read for a long time! Hello, Andrea. I attended your lecture in Williamsburg, Virginia on September 21, 2011, and thoroughly enjoyed it. You remember I spoke to you briefly at the book signing about modern commercial farming vs. the Founders view of farming (and gardening). I am very interested in the history of farming, and especially the farming of animals and the developement of "industrial agriculture". Can you recommend any books? Also, I want to recommend a couple of books to you. Ann Vileisis, "Kitchen Literacy: How We Lost Knowledge of Where Food Comes From and Why We Need to Get It Back", Island Press, Washington, DC 2008. A really interesting history dealing with how our relationship with food has changed since colonial times when they knew all about the crops and animals they raised to the 21th century and the consumption of foods that have been genetically engineered, altered, adulterated, and often originate far from the point of consumption. It is really interesting and I highly recommend. Harvey Blatt, "America's Food: What You Don't Know About What You Eat", MIT Press, Cambridge, Mass., 2008. Not so much historical but concentrates on scientific aspects of various sources of food---how raised, characteristics, health and environmental aspects, etc. Thanks again, for your wonderful presentation. I look forward to your next book. Would you please e-mail me a high-resolution cover image of "The Founding Gardeners" for a newspaper ad promoting the November 4 lecture here? Founding Gardeners has been a great hit in our tree-huggers' circle and Casey Trees, a non-profit tree planting organization in Washington, DC, would like to invite you to speak sometime. Could you please let us know how to contact you? Thanks Andrea for these fascinating studies in history and horticulture. I received Founding Gardeners as a birthday gift (... recommended it at our classicnursery.com FB page) and plan to read all your stuff. The search to intercept the transect of venus is a fascinating subject that is long overdue for a novel....and I'm sure it is capable hands. Kudos to you. I am trying to research the life and times of James Brown, head gardener at Stowe 1819 - 1839. Do you have any details please? I have a little further information about James which I can share in return should you be interested! Just finished "Founding Gardeners" which I am giving as a birthday present to my pastor who grew up farming barley in Paso Robles, CA and now has a large garden in Redding, CA. I managed to finish the book without coffee stains! He planted 280 or 380? tomato plants this last summer to great success. I think with his love of history and gardening, he will enjoy your book. I garden on a 9 acre hill of rock in Redding and have visited many gardens in England, Stowe several times, and Wales and have toured the United States for 14 years in our RV (caravan). I stop at Monticello whenever we're near. Was at Mt. Vernon last fall....love the link between history of our country and gardening. I am amazed at your research...just unbelievable and makes the book so interesting. Thank you for all your work and really enjoyed your writing. Founding Gardeners. I'm enjoying it. It combines 2 of my loves, gardening and history. Would you please contact me by email to discuss the possibility of your speaking to our annual (28th annual) Forum in October 2012. Your book, Founding Gardeners, would be of great interest to our audience and add greatly to this year's theme. Thank you. I am eagerly awaiting your new book and am interested in discussing with you the possibility of your lecturing to US Branches of the English-Speaking Union. Would you kindly let me know if this is of interest? Thank you. I enjoyed Chasing Venus very much.But being a former Astronomy teacher I must correct what you stated on page 32 in a footnote. The one stating that if you subtract the altitude of the sun at local noon you would be able to determine your latitude.This is only true on two days of the year, the Fall & Spring Equinoxes.From your research you know they traveled for more than two days a year.What was used to help seaman find their latitude was an Analemma,this provided the declination angles of the Sun for the entire year and those angles were added or subtracted to the measurements seaman determined for local noon and that was their latitude. My mother is a gardener. So was her mother. She also loves history, especially of our USA. Her father, brother, husband and sons served in its defense. I just sent her The Founding Gardeners. She'll love it.